Born in Sichuan Province, China in 1958, Wang Jianwei was trained as a painter at the Zhejiang Academy of Fine Arts (current China Academy of Fine Arts) in Hangzhou. Despite displaying technical virtuosity as a painter, Wang chose a working method that combines video, film and theater. 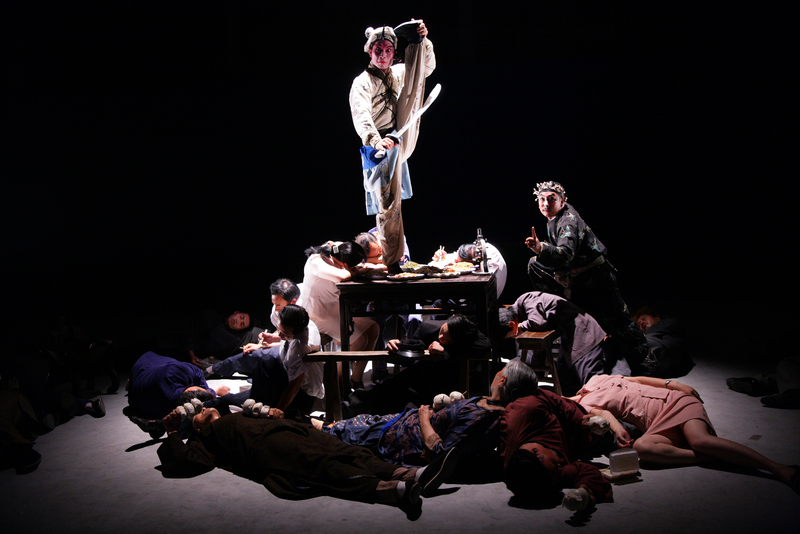 Interested in combining the mundane, the historical, and the mythological, Wang’s works range from depicting the “plight of peasants occupying an abandoned housing project in Sichuan Province to films of post-1949 China during the height of Communist fervor and stories from the Tang Dynasty.” Particularly, poignant is the cognitive dissonance formed between presentations of the past and present in Wang’s work.